Abstract and grid-less combat system! In the last couple of days I spend some time around the combat system at rpgs in general. We must face it that we live among a plethora of different systems, ranging from extreme narrative to full strategic ones. The truth is in the last 20 years we are accustomed with terms like opportunity attacks, initiative rolls, attacks vs. AC and damage per weapon type. Although there are many variations like damage based on hero’s level or simplified damage of 1 damage per attack vs. minion who also get 1 point of Health, we mostly tend to feel that somehow combat must be freed from the chains that bind it. At that point you may think that I point you towards narrative games but fear not as it’s not my intention. As much I enjoy narrative games I cannot escape my past that of a tactical combat system based on the worlds’ most famous rpg. But that doesn’t mean I will sit idle while my gaming experience turns numb… Ok roll initiative, attack and just damage!! At one of my many tries to create an rpg system I borrowed a couple of rules from AGE systems and most remarkably the use of doubles at a 3d6 roll in order to produce a set of Heroic Actions like disarm, knock prone and extra damage. I must admit that my gaming group found it very exciting but I wanted more. Let’s be honest with ourselves, I do enjoy watching other playing using miniatures, environments and grid but when it comes to my table I hate it as it one of the most time-consuming process of the game and as you know I just love a good story. Recently I spend a few hours studying The One Ring rpg (TOR from now on). So TOR is game that is based around the awesome world of Middle Earth. The rules, in my opinion, are heavy and tailored to be used around the specific world. Also 2 months ago the same company published Adventures in Middle Earth (AIME from now on) which is a TOR game translated in D&D 5th terms using the OGL. So I took both books in my hands and I started to compare. It was a nice experience and the setting as we all know it is one of the best (maybe the best of them all!!). Everything is careful explained and adhere to Tolkienosque fantasy but something along the journey went wrong. When I reached the combat section I was shocked. TOR uses an amazing abstract, grid less combat that promotes narrative over strategy and AIME uses the classic d&d combat system. They have translated rules like culture, virtues based NOT on class but on Cultures, new classes, awesome Journey rules, corruption rules and Fellowship phase; all these are milestones rules at TOR but not the combat. And my hope was drained… But fear not as we tried to implement combat rules not only to AIME but at d&d in general. I will present you these rules and I hope you will enjoy them and please bear in mind that we are still talking about d&d!! 1. Surprise: use your own rules or the ones already published. 2. When combat initiates each combatant choose between 4 stances: Forward, Open, Defensive, Rearward. These stances are not only variables measuring distance but also combat mentality. So if you want to be aggressive you can choose Forward and punish your adversaries. But how these stances are been translated in d&d terms? So when combat starts each hero chooses a stance and the storyteller chooses for all the monsters. We don’t roll for initiative as we get a set of numbers depending on stances. Each hero also can forego the normal attack procedure and use a special action (more of that may come later). Also don’t forget to get any bonus to attack or AC where applicable. a. As we said these Stances are both a measurement of distance and a mentality. b. The combatants that belong at Rearward can choose to forego any actions and just flee. c. In order to disengage each combat round you can move one step at the time. BUT we treat Open and Defensive stance as the same. For example the 1st round of combat a warrior who acts with forward stance decides to disengage and start hunting down a fleeing adversary. At the 2nd round he must declare that he is fighting at Open or Defensive. At the 3rd round when he moves to rearward can as free action start hunting down the desired adversary. d. Rearward stance is ranged only. So you can use only missiles and also you can only be attacked by missiles. e. In order for a group to have a hero rearward must have AT LEAST 2 heroes at the other stances. 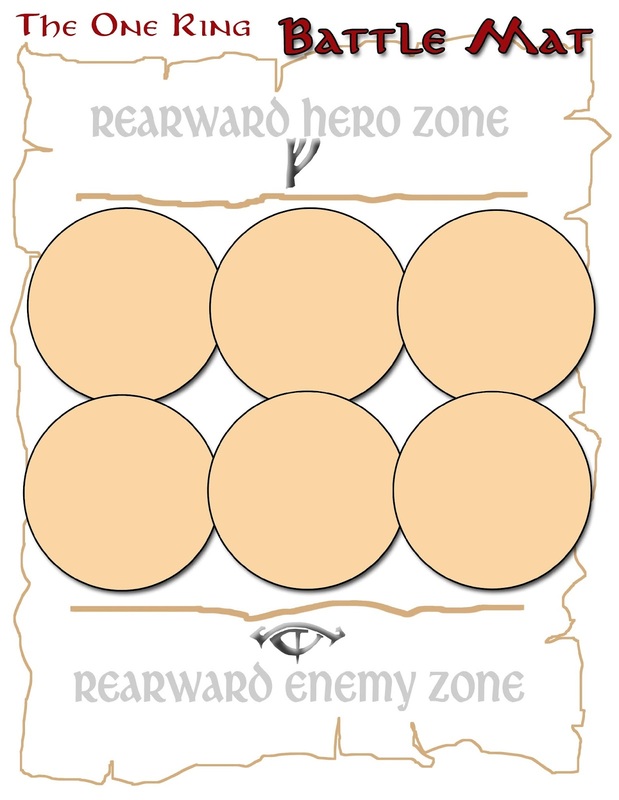 If the combat is among a single enemy vs. a group of heroes the ration changes from 2:1 to 1:1.
f. If the party is outnumbered 3:1 then the rearward stance is NOT an option. g. If you forego the actual attack you can invoke the above special actions. BUT there is an exception to the Defensive stance in which you can spend an Inspiration point in order to protect/intercept the attack into to you. This hero can in same round attack normally. And it’s time to make a pause. I like this system and I hope you will find it an enjoyable addition to any system. Take care and up to the stories. 1. Touch abilities need to be in close combat. 2. Single Target abilities and been used normally. 3. Point blank areas of effect abilities are limited either to close or range stances. Forcing ANYONE except the caster to roll for a saving throw (Friendly Fire). There are exceptions here like beneficial spells that buffs your party and hinder your enemies. 4. Area of effect abilities can be either Close or Ranged combat. At close range they affect Forward, Open and Defensive stances and at ranged only Rearward stance. As with pbaoe abilities friendly fire is possible but with a small twist. So when a Fireball spell is cast at Close range all combatants must roll for a saving throw. Adversaries roll for saving for half and your party rolls for Saving Throw for None. 5. If your adversaries cast an offensive aoe spell in close combat. The party rolls normally for saving throw for half and all other monsters for saving throw for none. 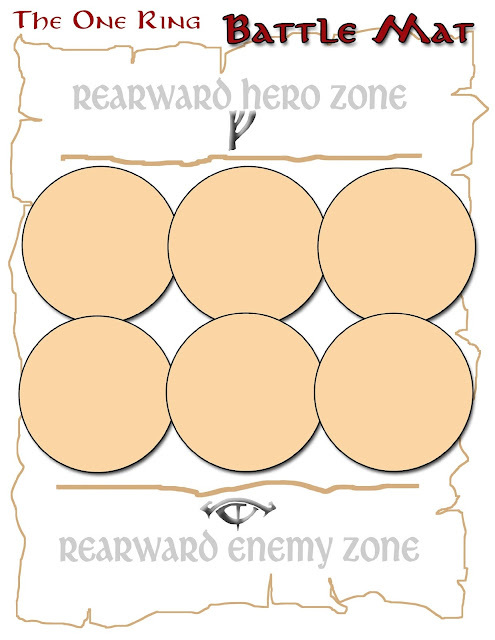 Here is an example that it can be printed and used as the encounter board. On the other hand it can be easily imported at Roll20 and used with miniatures.